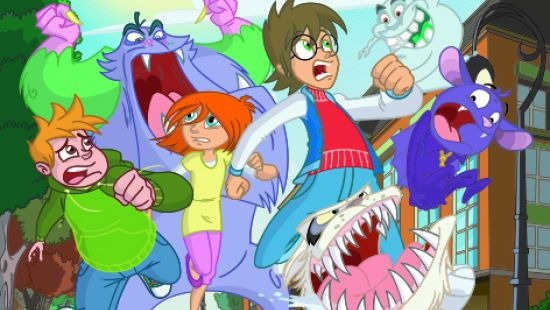 Atlantyca’s animated series “Bat Pat” joins Atlantic Digital Networks line-up of programming for the exciting launch of Toon-A-Vision (www.ToonAVision.ca), the new free cable TV service and only kids and family channel to broadcast nationally from Atlantic Canada. The broadcast feed will commence on June 19th, available to cable subscribers in select markets across Canada on Eastlink cable systems, with more cable and satellite systems to be added in the near future. Future plans also call for offering mobile, wireless and OTT. Toon-A-Vision’s schedule has 3 branded programming blocks which includes: The Lagoon (for ages 2-6), Eh-Vast for ages 6-9), and Toon-A-Vision Tweens (for ages 9-12). Its programming will include branded shows such as Atlantyca’s Bat Pat, Monster High, Pingu, Stan Lee’s Mighty 7, SpacePOP, The Hive, Skunk Fu!, Hareportand hit Canadian comedy series Chilly Beach. It will also showcase Canadian favourites such as I am a Dinosaur, Yam Rolland Maple Shorts.